Today is Saint Patrick’s Day, which provides a welcome break in Ireland from traditional Lenten practices. Later this morning, I am presiding at the Eucharist in Saint Mary’s Church, Askeaton, Co Limerick, at 11 a.m., and later in the day I have been invited to be on the reviewing platform at the the Saint Patrick’s Day Parade in Askeaton. For the next two weeks, I am looking at the 14 Stations of the Cross in the Chapel of Saint John’s Hospital, Lichfield. Saint John’s Hospital is one of many historic almshouses to be found in cities, towns and villages across Britain. These almhouses provide sheltered accommodation for more than 35,000 people. The story of Saint John’s begins in 1129 when Roger de Clinton was appointed Bishop of Lichfield. He built a cathedral, defensive ditch and gates or barrs at the southern limits of the city. 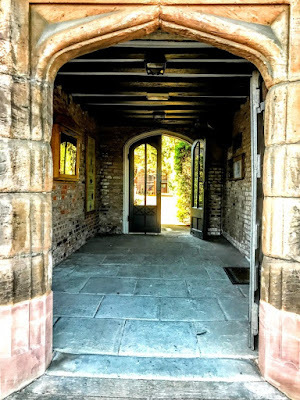 Pilgrims visiting the shrine of Saint Chad and travellers who arrived late at night found hospitality at the priory built in 1135 outside Culstubbe Gate. In time, this became the Hospital of Saint John Baptist Without the Barrs of the City of Lichfield. 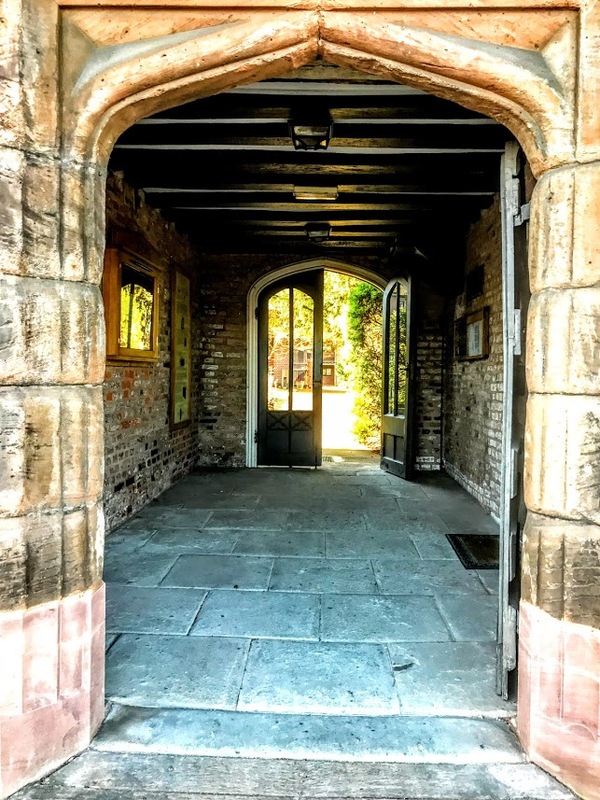 Bishop William Smyth refounded the priory in 1495 as a hospital for aged men and as a free grammar school. When the monastic houses were dissolved at the Reformation, Saint John’s survived because of Bishop Smyth’s changes. Today, Saint John’s Hospital continues to provide sheltered, independent accommodation. As I step into chapel, a wood screen separates the entry porch from the main body of the church, and my eyes are immediately drawn to John Piper’s east window showing Christ in Majesty. The figure of Risen Christ stands in the centre surrounded by blue glass with green angels at the base and the signs of the four evangelists at the corners. Below is a modern wood altar with a wooden reredos picked out in gold. In the centre is a painting portrait of the suffering Christ, carrying the cross. Pillars and arches separate the nave and north aisle, where the north wall has a very modern set of Stations of the Cross. The figures are direct and vivid. Instead of a lengthy, traditional title, each station has one or two simple words, in plain capital letters, to provide a focus for prayer and meditation. Here too there is a small prie-dieu below a plaque showing the Virgin Mary and the Christ Child surrounded by garlands of flowers and with gilded cherubs at the base. Since I was a 19-year-old and walked into the light of this chapel, I have seen this as my spiritual home, and it has shaped my spirituality and my Anglicanism. For the last two weeks of Lent, these Stations of the Cross in the Chapel of Saint John’s are guiding my early morning Lenten meditations and prayers. Tomorrow: ‘Condemned’ … 1, Pilate condemns Jesus to die.